Magic is a pretty incredible game. While there's 25 years of history, tournaments, players, and cards to discover, there's just one reason the game has grown leaps and bounds since its 1993 beginning: you. If you're just discovering Magic, the odds are good a friend familiar with the game made the introduction, perhaps at your local game store or through the MTG Arena Open Beta. If you've been playing Magic for a while, it's not only likely a friend made the connection first, but you too have probably shared Magic with someone new as well. Giving the gift of Magic is natural since it's the greatest game there is. Fortunately, there are a ton of options around to share the game with anyone. 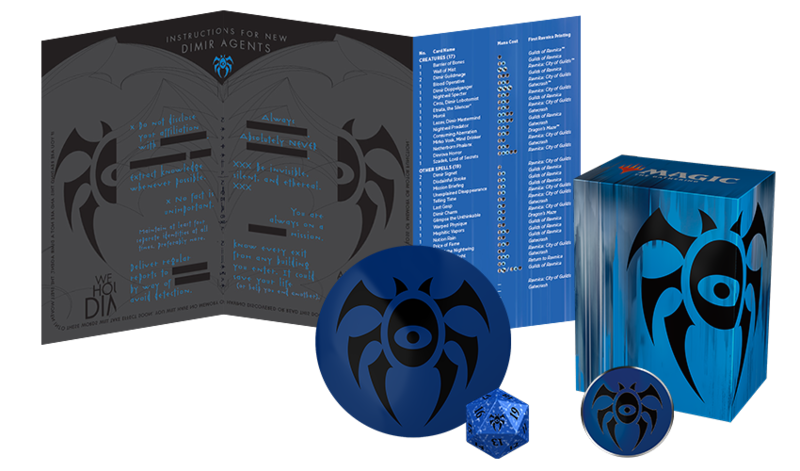 While Magic Open House events are perfect for making an in-store introduction to the game, they aren't available all the time. But local stores also carry an out-of-the-box way to start a game. 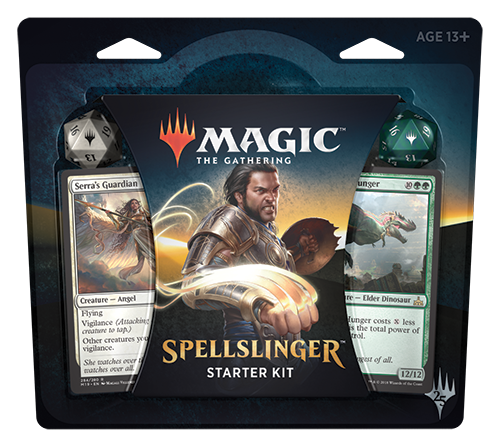 The Spellslinger Starter Kit is two decks, two spindown life counters, two 60-card Standard-legal decks, and instructions on how to start playing Magic. Teaching the game is easier when the decks are set and designed to do that, but handing this off for a friend to try on their own terms makes this even better. Some players really want to learn on their own before playing a "real" match! 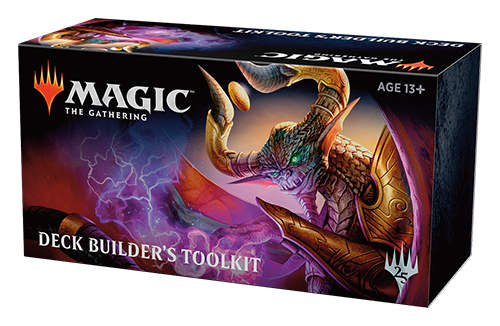 Of course, changing decks and storing cards goes hand in hand with Magic too, so the Core Set 2019 Deck Builder's Toolkit is the obvious companion gift to the Starter Kit. New cards to try in their two decks plus a convenient box to hold it all makes Magic portable and easy to store. Looking over a deck and making your first changes is a fond memory for everyone who learns Magic, which is what makes this toolkit perfect for newer players. Planeswalkers aren't just characters in Magic—they're also among the most exciting cards to use. The right planeswalker card can turn the tide of battle and decisively take over a game. 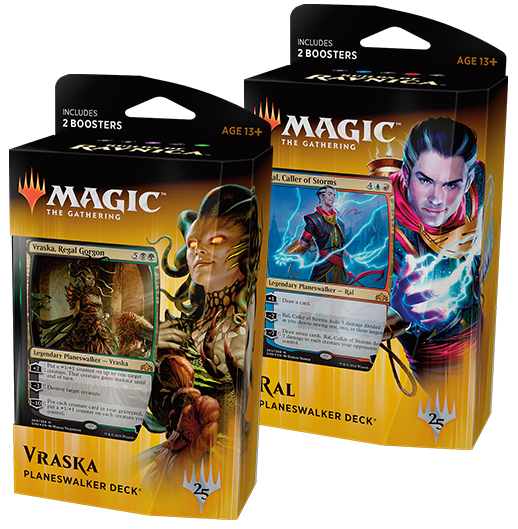 Planeswalker Decks, such as the two from Guilds of Ravnica featuring Vraska and Ral, are great pick-ups for showing Magic to someone, and they're also a pair of decks ready to play against each other. Like the Spellslinger Starter Kit, you can use these two decks together to teach and practice Magic rules. Unlike the Spellslinger Starter Kit, these two decks take the power up a notch and offer exclusive versions of powerful Planeswalkers. 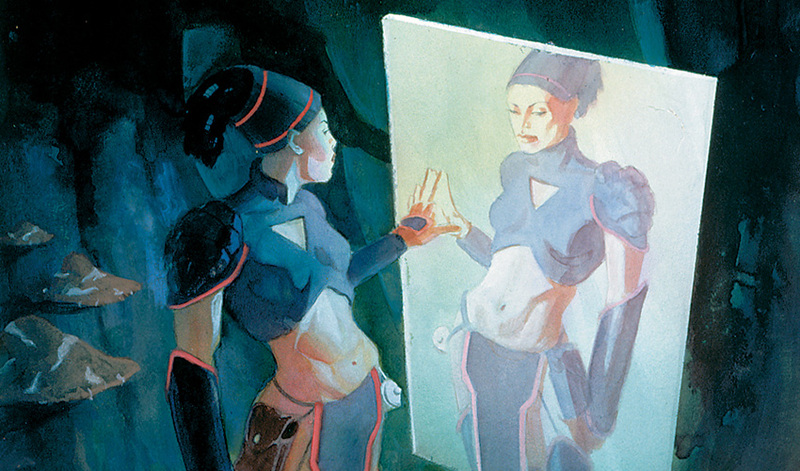 Who wouldn't want to tap into the power of allies across the Multiverse? If you're around a local game store, you might be more familiar with friends who roll dice rather than play cards all night. The popularity of Dungeons & Dragons as a roleplaying game means there are always folks looking for a new story to tell. 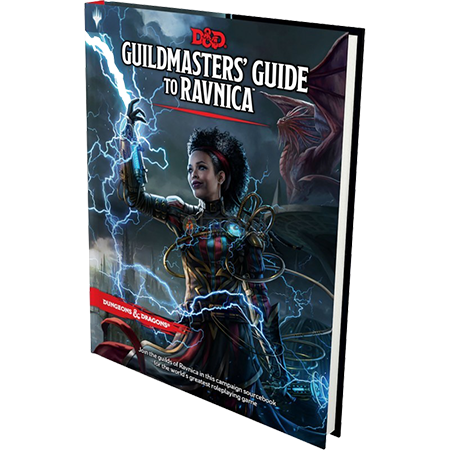 The upcoming Guildmasters' Guide to Ravnica is one way to introduce Magic without it being exclusively about the cards. While knowing Magic is helpful, the plane of Ravnica is an incredible city to explore, filled with stores to be told. If you're a dungeon master yourself, telling a one-shot tale taking players from the Tin Street Market into Bane Alley and beyond sets up Guilds of Ravnica as a way to continue the Ravnica adventure in Magic. 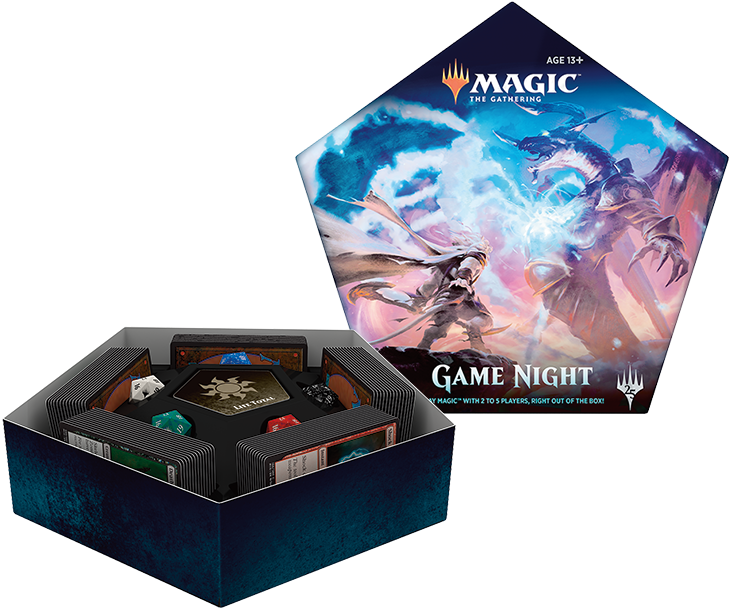 Of course, the flip side of the coin is what to do if the dungeon master (or enough player characters) can't make a session: Magic: The Gathering Game Night. Game Night is the Magic version of a one-shot adventure into spellslinging, each player getting a premade deck, life counter, and rules reference, then playing together. Of course, the goal here is to eliminate your opponents rather than being cooperative, but as a break from being a party, it can be good to get the murderous urge out without affecting the campaign. And if you wanted to take it to the next level, everyone could choose to keep and update their deck for another showdown later. Characters do hold grudges from time to time . . .
Every Magic player plays the game at their own pace. Sometimes, they take off full speed into Commander or Standard or Modern or Draft. But some of your friends might be into playing in Prereleases and catching a few lower-stakes games in between. Magic friends might even play totally different than you do, but that doesn't mean there isn't something for them. Commander (2018 Edition) decks and Guilds of Ravnica Theme Boosters look quite different at a glance, but they're perfect when you know a little bit about the player you're giving to. If you know they enjoy Commander every now and then, it's hard to go wrong with the reprints and new cards they can use in a Commander deck they don't yet have. And if smaller decks are their thing, a Theme Booster for their favorite color gives them a taste of the newest set focused on the cards they're most likely to love. 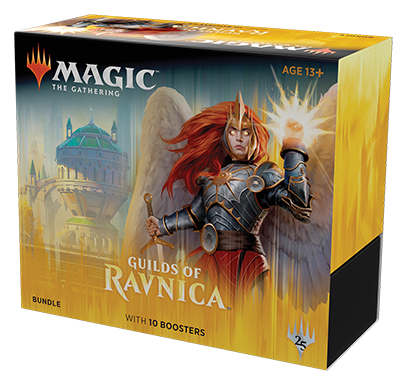 A Guilds of Ravnica bundle is a pile of booster packs plus a life counter, storage box, and lands—all excellent tools for someone to continue exploring Magic on their own terms. Catching up on the latest set with a guide and enough boosters to open for fun makes this an easy way to keep the Magic going. If a bundle is a bit overwhelming, the Gift Pack might be a better fit. 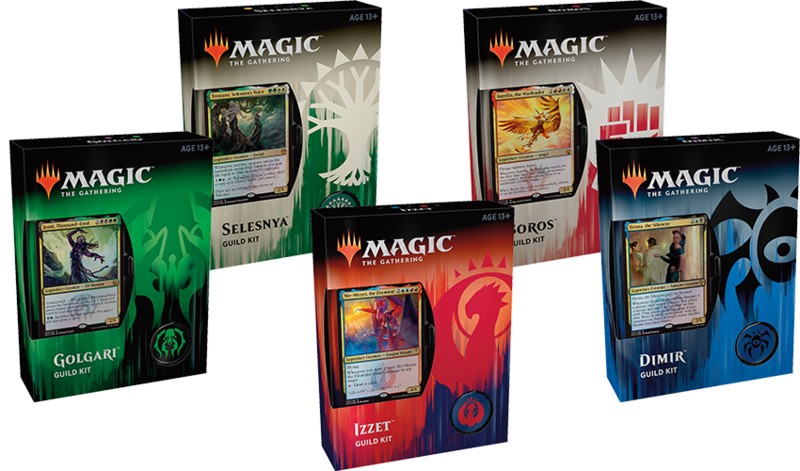 Instead of Guilds of Ravnica booster packs, it's Core Set 2019, filled with flavorful Magic fantasy. And instead of more storage, it's a few exclusive cards found nowhere else. Adding Magic intrigue for a friend who already has some collection and storage is what makes the Gift Pack stand out. Maybe you're not the biggest Magic player—or not even a player at all!—but you have a friend or family member who is. Someone who knows all the guild names, talks about going to Friday Night Magic, and seems to have more cards than you could ever imagine needing. 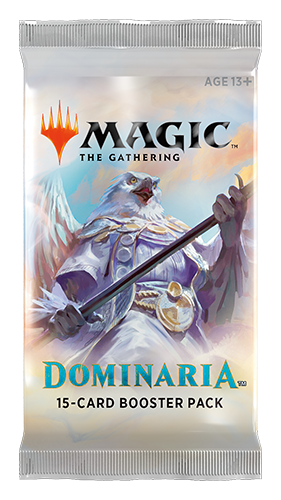 Dominaria and Guilds of Ravnica booster packs are a go-to for any invested Magic player. 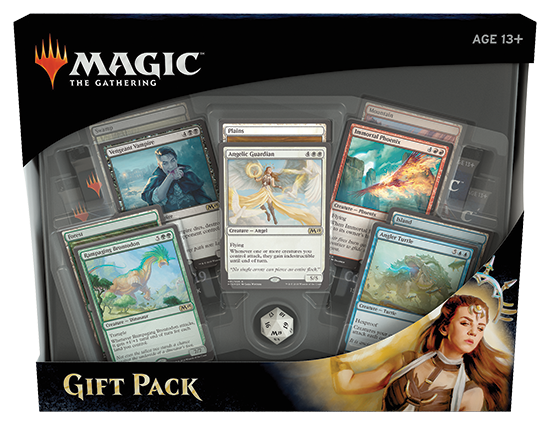 Whether it's practicing Draft or the simple joy of opening new cards, a booster pack is pretty perfect as a gift of any size. Plus, they're among the easiest bits of Magic to find anywhere you shop. And if you happen to know your friend's favorite guild, the Guild Kits available at their local game store are packed with new and old cards they can use in a variety of ways. 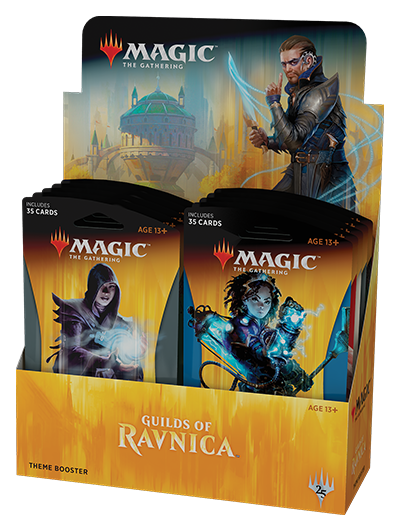 Powering up their Commander deck, adding to their Modern staples, or even just showing off a fun card they totally forgot about from years ago makes each Guild Kit a trip through Ravnica history for your friend—even if you're not familiar with any of that yourself. Of course, if your friend plays enough to have a favorite guild, then they probably want to protect their powerful decks with sleeves and deck boxes. 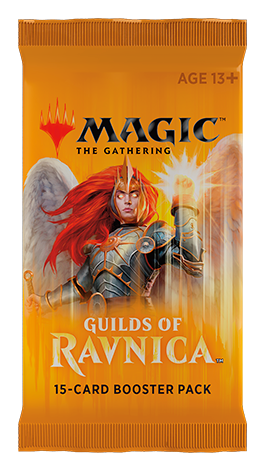 Ultra PRO® puts both together by offering sleeves and deck boxes for all ten guilds on Ravnica, and you'll find even more official Magic accessories in your local game store. From playmats to sleeves to even bigger cases, binders, and storage for cards, a large Magic collection can always be better organized and better protected. 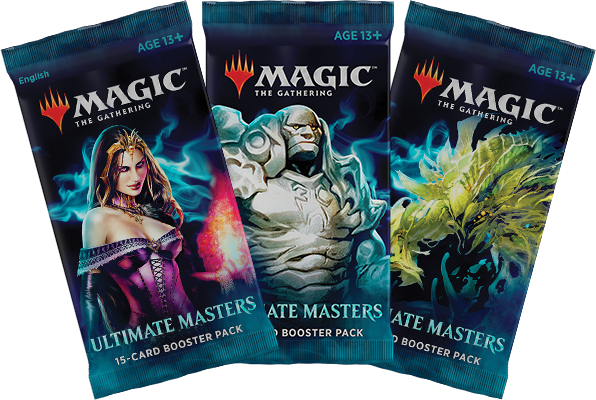 For perhaps the ultimate gift a Magic player can get this year, look no further than the recently announced Ultimate Masters set. 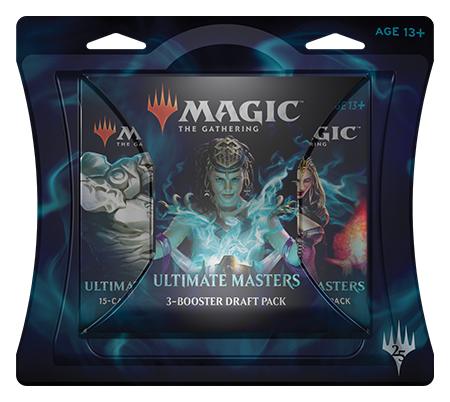 Packed with powerful cards across Magic's history, Ultimate Masters promises to be the ultimate celebration to end the year. As always, the best place to start your hunt for amazing Magic gifts is at your local game store. While you should keep an eye out for Magic wherever it appears, local game stores will always have the best selection and knowledge to ensure you get the right gift for your Magic friend. Through the end of the year and well into 2019, your friends near and far will appreciate the right Magic landing in their hands. Happy gifting!